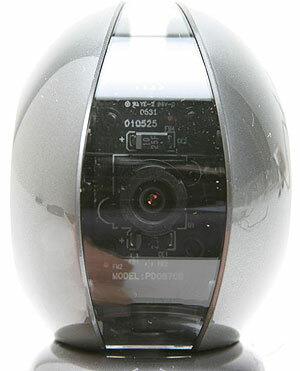 The first affordable web camera with face tracking was the Logitech QuickCam Sphere which I reviewed almost two years ago. It was a pretty decent product, but not as elegant a solution as I’d hoped for - and the head tracking was a bit hit and miss. Now, Creative has launched its WebCam Live! Motion – available in silver or white - and although I was shown an early model way back at CeBIT, it has taken this long for Creative to bring it to market. But, if you want something special, you sometimes have to wait longer than you’d like. To be fair, the WebCam Live! Motion is far better than the older QuickCam Sphere, but I wouldn’t have expected anything less, as it’s got two years of technology improvements inside it. First of all, the face tracking software is far more sophisticated, although still not perfect - it offers two modes of tracking, continuous or smart. 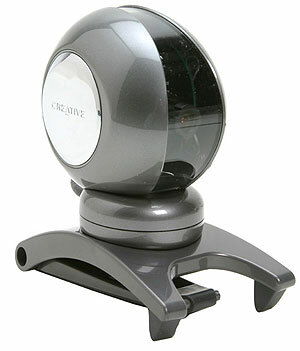 In continuous mode it follows any movement of your head and moves along when you do. In smart mode it only moves after you’ve stopped moving. Which tracking mode is better depends on the situation and how you use your camera. With the continuous mode on, the digital zoom will kick in and although this is handy if you want a close up of your face at all times, the image quality degrades noticeably when in maximum zoom mode. Without the digital zoom enabled the image quality is on pair with entry level digital cameras. A 640 x 480 pixel CCD sensor which captures up to 30fps – at full resolution – is as good as you’ll get with any web camera these days. Creative has fitted a wide angle lens to the WebCam Live! Motion which gives a slight fish-eye effect to both video and stills. This can be removed in the driver by cropping the picture, but it means that you loose out on detail that would otherwise be seen. A pretty cool feature is that you can take automatic panoramic shots with the supplied software. This is done by having the camera move to three locations, while taking three images which are automatically stitched together by the software. [i]Interested in reading the rest of this review? Jump straight to page 2 over at our sister site, TrustedReviews.